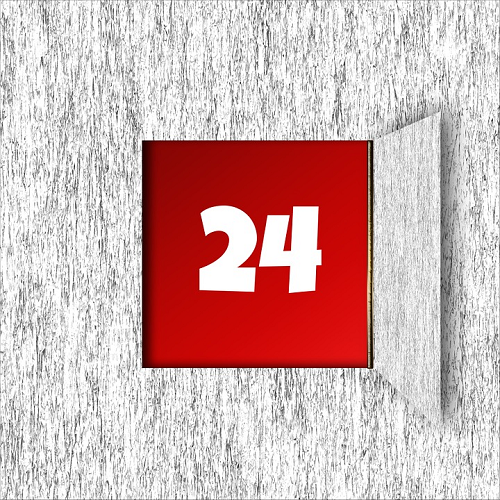 If you're suffering a festive financial hangover, don't wait for January bills to fall through the letterbox or interest will keep accruing. Instead immediately focus on reducing the rate, as this means more of your repayments clear the actual debt rather than just pay the lender, so you're debt-free quicker. a) Prioritise repaying the highest interest debt first... as it grows fastest. Use all spare cash to clear that and just pay the minimums on everything else. Once it's clear, focus on the next costliest - see which card to repay first. b) Use any savings to clear costly debts. Full help in Repay Debt or Save? c) Boost your credit score. You'll be eligible for better debt cost-cutting deals in future. Join our Credit Club for a personal prescription. This is all about balance transfers, where you get a new card to repay debt on old cards, so you owe it instead but at 0%. The market's just perked up with better deals, as firms know people switch in Jan, yet overall deals are far worse than a year ago - so acting quickly is important. Doing this can really slash your interest, as Alicia discovered: "Thank you @MoneySavingExp @MartinSLewis. Went on your site, applied and got accepted for a CC with 0% interest on balance transfers for 27 months. Can now pay off my 2 existing CCs with 29% APR, thanks." On say £3,000 debt, cleared over the 27mths, that's £980 saved. But don't just apply willy-nilly. Each application marks your credit file, so if you're rejected and apply again, it gets trickier. Instead our Balance Transfer Eligibility Calculator shows which cards you're most likely to get. Here are the top cards, then I'll explain how to pick your winner. - Go for lowest fee (incl cashback) in the time you're sure you can repay. Calculate how long you think you'll take to clear the debt, add a bit for safety, then pick the lowest fee within that time - though if you're not sure how long you need, play longer for safety. Count cashback as a discount off the fee, eg, shift £1,000 to M&S and the 0.99% fee is £9.90, yet the cashback's £25 so you're actually £15 up. - With 'up to' cards you may get a shorter deal. Unlike those listed above, some top cards only give 'up to' a certain 0% length, so you may get accepted but get fewer months - we tell you in the eligibility calc which are 'up to'. Unless you've a great credit score, it is best to avoid these, especially if the eligibility calc shows you've high chances on a non-'up to' card, as then you'll be certain of what you'll get. - Any room on existing cards? If you've more than one credit card, it's worth ensuring the debt is where it's cheapest. For example if you've one at 18% and it isn't up to the credit limit, but your 30% card is, you may be able to ask the first card to shift some debt across, saving you cash without impacting your creditworthiness. Some cards even offer this at special cheap rates - see the credit card shuffle. a) Clear the debt or shift it again before the 0% ends or you pay the APR. c) Don't spend/withdraw cash. It usually isn't at the cheap rate. d) You must usually do the transfer within 60/90 days to get the 0% + cashback. Full help and info in Best Balance Transfers (and see APR Examples). These are just credit cards you only use in one store chain, but with far costlier interest - eg, New Look is 28.9% rep APR, Argos 29.9%. But you can balance-transfer store card debt too, so just follow the info in point 1. Debit cards are debt cards if overdrawn. So if you've an overdraft, don't ignore it. 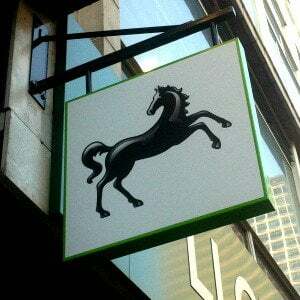 Lloyds, Halifax and Bank of Scotland customers should take special note as the Lloyds group is about to hike overdraft charges. a) Switch to a 0% overdraft. Currently via this link, First Direct* offers £125 to switch to it (£100 if you go direct) and many get an ongoing £250 0% overdraft (you must pay in £1,000/mth). So if your overdraft's up to £375, this pays off some of what you owe and the rest is at zero interest. Alternatively, Nationwide FlexDirect* can offer a far bigger 0% overdraft depending on your credit score, but it only lasts a year (it's 50p/day after). So aim to clear it before then. Or if you've a friend with an account, you can both gain via its recommend a friend scheme if you switch. b) Use a 0% money transfer credit card. For larger overdrafts, a few specialist cards also allow 'money transfers'. This is where the card pays cash directly into your bank account, clearing your overdraft, so you owe it instead, at up to 28mths 0% - useful for larger overdrafts. For full help and best buys, see our Money Transfers guide. Acceptance depends on your credit score though. If you're stuck in your overdraft, read my How to escape the overdraft prison blog from Nov (written before First Direct offered the £125 bonus above). If you've a loan, the big question is can you get a new one to clear it and pay less. It can work, as Marian emailed: "Thanks. Got a 3% loan to pay off a 15.9% one, saving £3,000+. I recommend you to my friends." - STEP 1: Ask your current lender for a settlement figure. This is how much it'll cost to repay your loan in full now, including any early repayment costs (ie, the amount you'd need a new loan for to pay off your old one). - STEP 2: Work out how much it'll cost you to stay where you are. Check what your monthly repayments are and how many you have left (ask if you don't know). Then multiply them to see the cost if you stick. - STEP 3: Find the cheapest new loan for the settlement figure. For borrowing under £3,000, the cheapest route is likely to be doing a 0% money transfer (see above). For £3,000-£4,999, Zopa* is 5%-6.9% rep APR. For £5,000-£7,499, Admiral* & Yorkshire* are 3.4% rep APR. For £7,500-£15,000, Cahoot*, M&S Bank* (1-3yrs) & Sainsbury's Bank* (needs a Nectar card) are 2.8% rep APR. - STEP 4: Find out which is cheaper. Use the MSE Loan Switching Calculator to see whether you should stick or not. If you've other types of expensive credit, it's important to deal with them quickly - the exact options depend on your circumstances, so see our Payday Loan Help guide for what to try. If you previously had a payday loan and couldn't afford it, see how to reclaim Payday loans. 6. 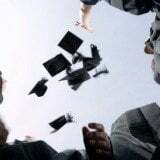 STUDENT LOANS: Should you try to clear them? In many cases, while it's counterintuitive, unless you're a BIG earner you're actually better off just to leave it. However, it depends which type of loan you have, which depends on when you started. 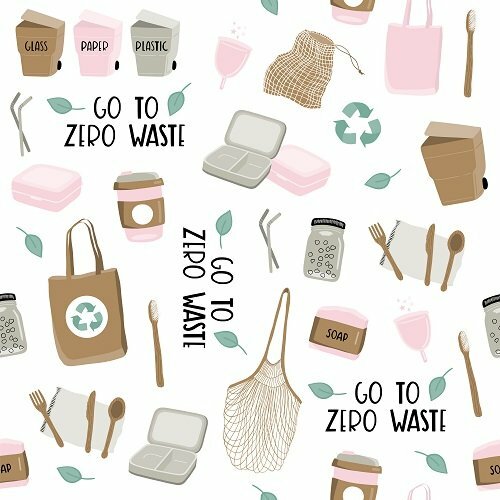 We've full guides to help. - Started in or after 2012 (and you're from Eng or Wales)? See my Student loan interest is 6.3% - panic or pay it off? guide. Should I repay my student loan? guide. My help above is designed for those who can handle repayments. Yet if things are tough, that may not be the right solution. Do any of these apply? - You can't even meet minimum monthly payments. - You have non-mortgage debts bigger than a year's salary. - You have sleepless nights or depression/anxiety over debt (very common, hence why I set up MMHPI). If so, forget the solutions above and get free, one-on-one debt-counselling help from Citizens Advice, National Debtline or StepChange. And if you need emotional support too, try CAP. They are there to help, not judge. The most common thing we hear after is: "I finally got a good night's sleep." Read inspiring stories in our Debt-Help forum and also see our Mental Health & Debt guide. Full info: Debt Crisis Help. As you get this, I'll have just finished my live show. Next week, we move to my usual Mon half hour 8pm slot (between Coronation Streets). And as it's January, just like in this email, I'm starting with debt. Showing how you can use every trick in the book to cut costs – and meeting a family who've done it. Plus there's a nimble little 2for1 loophole on cinemas & meals out. Do watch, or set the VideoPlus. New. 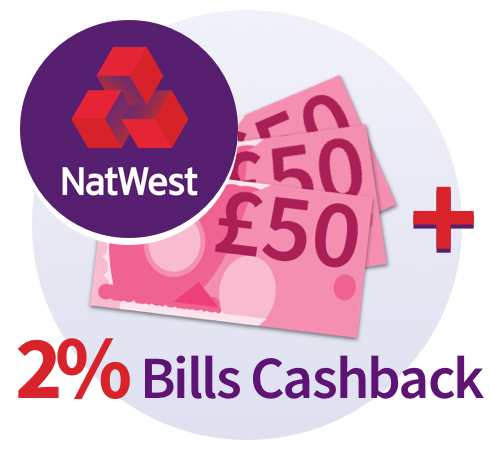 NatWest: Free £150 + 2% bills cashback. Joint-highest upfront bonus + great as a bills account. NatWest now pays a £150 switch bonus on most of its current accounts. The standout is NatWest Reward* which, for a £2/mth fee, gives 2% cashback on most bills paid by direct debit. Our analysis shows those with avg bills get about £66/yr after the fee, with higher bills it's £135/yr - so the total cash bonus in year 1 could easily top £200. How do I get it all? You must pay in £1,500+/mth (a £21,500/yr salary does it), complete your switch and log in to online banking by 22 Mar. It's for new and some existing NatWest customers. See our NatWest review for full info, incl how to get the bonus on a no-fee account (without cashback). First Direct: No.1 service + free £125 + 5% savings. If service is key, this is likely your winner (though others here pay a higher cash bonus). Apply via our First Direct link* and it gives new customers who switch to it £125 (£100 if you apply direct). It's won every bank customer service poll we've done, with 89% rating it 'great' in our most recent. 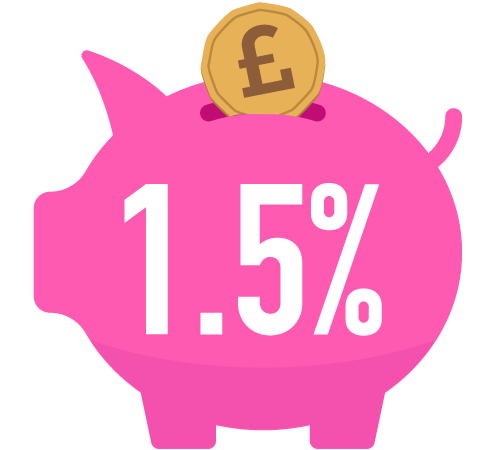 Plus you can save up to £300/mth for 1yr at 5% in its linked regular saver. Many also get a £250 0% overdraft. How do I get it all? Pay in £1k+/mth (a £12,700/yr salary does it) or you eventually pay £10/mth. See our full FD review. HSBC: Free £150 + 5% savings. Joint-highest upfront bonus. Newbies switching to HSBC Advance* get £150, and can save up to £250/mth for a year at 5% interest in its linked regular savings account. How do I get it all? You must start a switch incl 2+ direct debits or standing orders within 30 days of account opening and pay in £1,750/mth (a £25,900/yr salary does it), but you can't have had an HSBC current account since 2016. For more help, see our HSBC review. More deals incl up to £180 in M&S vchs & up to £159 in year 1 from Halifax. All in our Best Bank Accounts guide. Urgent. Special Bulb energy deal: £50 credit + 'great' service. We've arranged this deal, which is cheapest on average & many can save £250/yr. But it ends very early Thu AM (in effect, Wed night for most). See how our Special Bulb deal compares. Cheap fitness trackers, incl Fitbit & Garmin. Fancy challenging Martin '23,513-steps-a-day' Lewis? We've a round-up of the best prices. Ends today (Wed). Broadband & line '£10.24/mth'. Till 11.59pm, newbies to BT-owned Plusnet can get 10MB broadband speed at an equiv £10.24/mth on a 1yr deal - if you jump through a couple of hoops. This deal often comes and goes, but there's no certainty it'll return, so hurry if you want it. For more options, use our Broadband Unbundled tool. 1m+ paid more than necessary for driving licences in the past 3yrs - how to drive down costs. Full info + help in our driving licence warning story. Start with comparison sites. NEVER just go direct to the hotel or one travel agent, as in a few seconds comparisons scour multiple hotels and agents for the cheapest room + the cheapest way to book it. Often the SAME room can vary wildly in price, eg, we found 1wk at an Orlando Hilton Doubletree for £735 booking direct, but £513 via Hotels.com. Our top comparisons are Skyscanner*, Kayak* & TripAdvisor*. PS. If an agent wins, it's worth contacting the hotel to see if it'll match or beat it. Massively discounted 'secret' high-end hotels. Some sites have 'secret deals', where they hide the hotel name. Yet you can occasionally uncover their secret before booking. We found a 4-star near Covent Garden, London, for £68/night. With forumite witchypoo's help, we pieced together it was likely the Hilton Doubletree - its cheapest price booked elsewhere on those dates was £168/night. See Secret hotel tricks. Member-only sale sites can smash comparisons' prices. They're free and give short-lived discounts on some luxury hotels worldwide, eg, Admiral Grand, Croatia, for £54/night vs £159/night booked direct. See Members' sale sites. January sales on NOW, eg, 40% off some Travelodge stays. See if you can bag a bargain with our round-up of hotel sales on now. The hotel rebook trick can save £100s. Some hotels offer free cancellation, though sometimes for a premium. Book this way and if the price drops later you can cancel and rebook. It worked for Alison: "I saved £200 when the price dropped two days before travel." 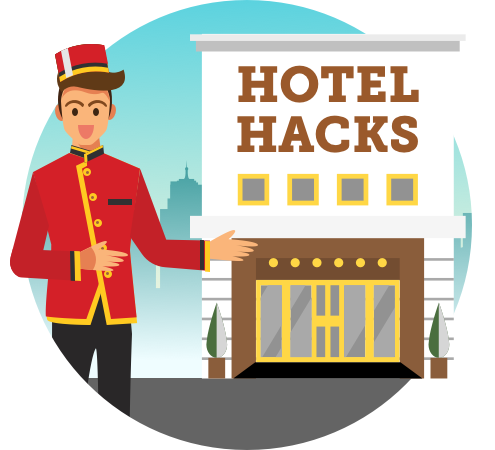 Full info: Hotel rebook trick (worth checking if you've a room already booked). Beware hidden taxes and charges. However you book, many sites don't always show the full price upfront, as our investigation last year found. So carefully check the small print and final price. Can a cashback site pay up to 13% back? You can be paid to book a room using a hotel or agent's site after clicking through to it via a cashback site. When we checked on Tue, one site paid 13%. See hotel cashback help. Staycationing? Bag cheap uni digs, £8/night no frills hotels & more. We've 22 tips for finding cheap UK hotels. Check if a holiday rental's cheaper. Airbnb and similar sites are becoming very popular and can win, especially for bigger groups. See our tips, incl safety warnings, for bagging cheap holiday rentals. Martin: 'I pledged £10m to charity - here's what I've done with it so far'. Read Martin's new What happened to the £10m I promised to charity blog. Rare Carluccio's 2for1 for £1, Frankie & Benny's 50% off & more. 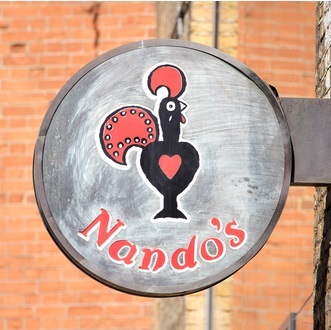 See 40+ restaurants vouchers. Ends Thu. 4GB/mth Sim with unltd mins & texts for an equiv £7.50/mth. It's for newbies to Smarty (which uses Three's network). To bag that price, you'll need to claim a £10 Amazon vch - full info and more deals in Top Sims. 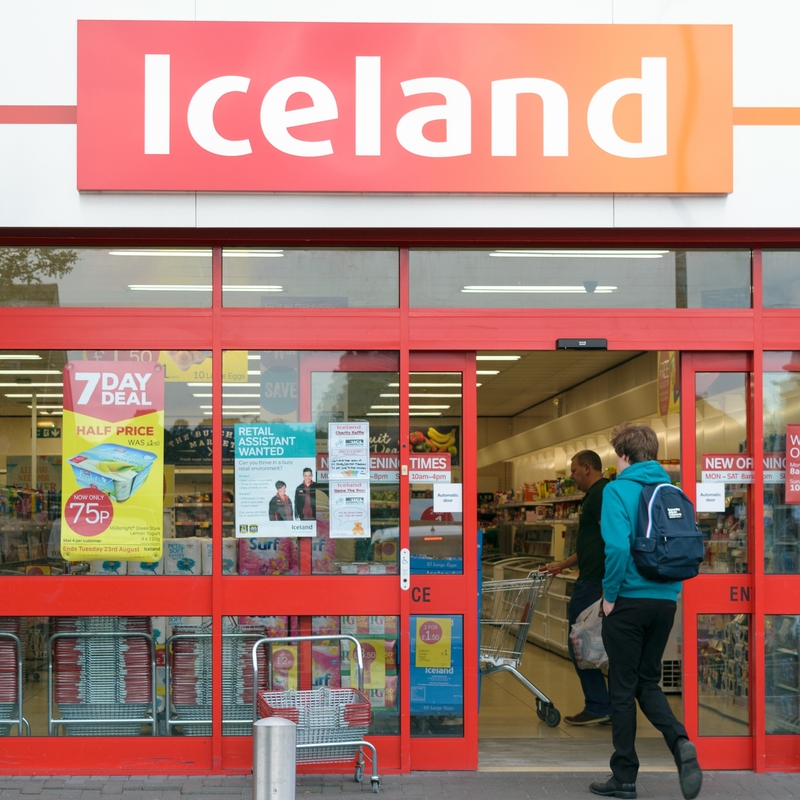 The Sun's '£9.50 holidays' are back - they're cheap but not really £9.50. See our Sun holidays analysis. Millions languish on pathetic rates, with average easy-access returns now a dismal 0.64% (source: Moneyfacts). And with inflation at 2.3%, if your savings pay less and prices continue to rise at the same rate, the value of your money will shrink. 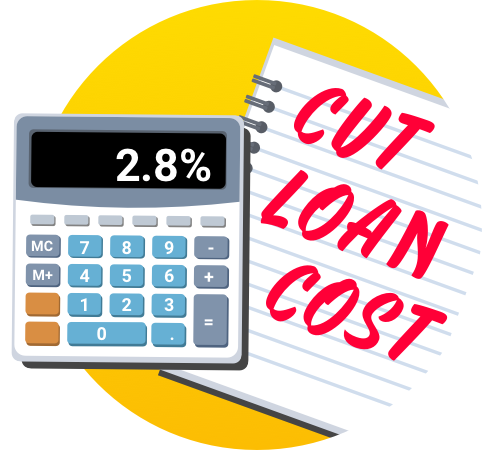 While it's tough to beat 2.3%, and we're far from discouraging you from saving, at least minimise the loss by maxing the interest. So sort it NOW - rates are far better than 1yr ago. All below have full UK £85k savings protection. Top 1.5% easy access (in Jan 2018 it was 1.32%). Here, you can add and withdraw cash when you want, though rates are variable so keep a close eye in case they drop. Top payer is Marcus Bank* - a UK arm of US giant Goldman Sachs - at 1.5% AER (min £1 and incl a fixed 0.15% 1yr bonus). Full info and a raft of other options in top easy-access savings. Earn 2.05% fixed for 1yr (though there's a way to get even more). If you're prepared to lock your money away without access, fixed-rate savings pay more, and unlike easy access, the rate is locked in. The top straightforward 1yr fix from app-only Atom Bank pays 2.05% AER (min £50). - Yet you can beat it via Gatehouse Bank's '2.1%' fix. It's a sharia account, so pays an 'expected profit rate' rather than interest, though it's always previously paid that. And you can even earn £10-£100 cashback on £10k+. See full Gatehouse info. - Saving for a first home? Get a 25% boost from the state. See Help to Buy ISAs and Lifetime ISAs. Saving for your kids? It's a different ball game - you can earn them a massive 4.5%. See our Top Children's Savings guide to bag the best rates. Got an old mobile? How to flog it for the most - some get up to £500. While you normally get more via eBay, it's usually easier via mobile-reselling sites, eg, £505 for a 64GB iPhone X. Good if you got a new phone for Christmas. See how to Sell Old Mobiles. "I told two friends about the marriage tax allowance. It's such an easy process. They both received a £660 cheque within two weeks." Is Christmas better or worse if you spend less? The Christmas turkey has now gone cold - so it's a good time to evaluate. During the recent festive season, Martin's Ban unnecessary Christmas presents video went viral with more than 14 million views and 100,000s sharing it. So did you cut back this Christmas compared to past years, and how did you find it? Is Christmas better or worse if you spend less? Yodel voted WORST parcel delivery firms (yet again). In last week's poll, we asked you to rate parcel delivery services, and received over 7,500 votes. For the third year running, Yodel came bottom of the pile, with 54% voting its service 'poor' and only 16% 'great'. In contrast, DPD was rated best for the fifth consecutive time - with 65% saying it's 'great' and just 13% 'poor'. See full parcel delivery firm results. 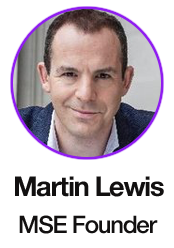 - Martin Lewis: What happened to my pledge to give £10m to charity in 2012...? Q: I want to switch energy supplier but I have a smart meter. Will it still work with my new supplier? Alex, by email. MSE Andrew's A: It'll still work like an old-fashioned meter by recording your energy use, but most will go 'dumb' after switching, so may lose many of their smart benefits. These include sending meter readings to your supplier automatically and showing your use in pounds and pence. Sadly, there's no realistic way to know if it'll go 'dumb' until you try it. A few will still work fully after switching and there are plans to upgrade the software in the rest, so in future when you switch you'll keep all the smart elements. But the Government has now said this may not happen until the end of next year. See our Smart Meters guide for full info on how they work. But don't let this put you off switching - as many can save about £250/yr via our Cheap Energy Club. After Greggs' vegan sausage roll, what else would you veganise? That's it for this week, but before we go... it's Veganuary (pronounced vee-gan-uary), where people are encouraged to eat vegan for the month. Some restaurants have announced new vegan-friendly food, which has received a rather mixed response. Last week Greggs released a vegan sausage roll, Pizza Hut has a new vegan pizza and McDonald's has done its bit too. Whether vegan or not, what would you like to see veganised? Or what's the best vegan version you've tasted? Let us know in our Veganuary forum thread.